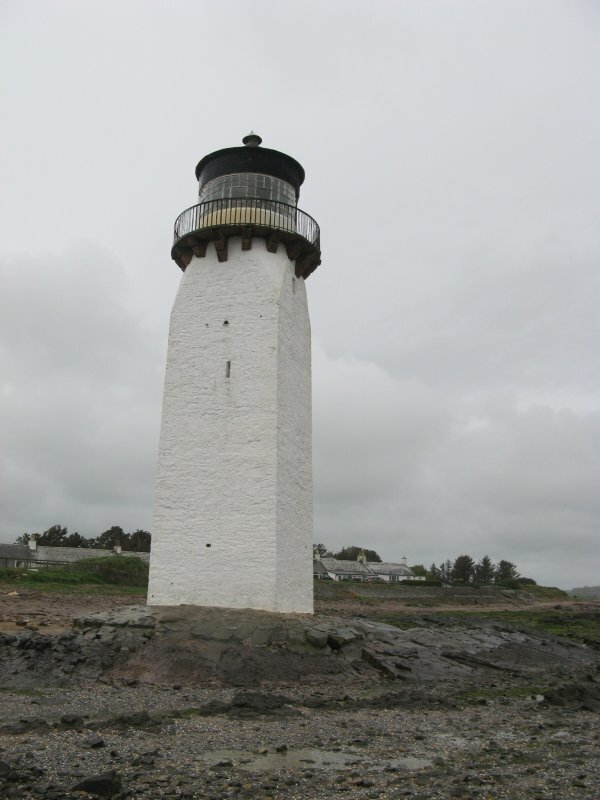 Peter Milligan of Burran mason of 1748 navigational marker pillar; subsequently heightened at instigation of Mrs Oswald of Auchencruive. 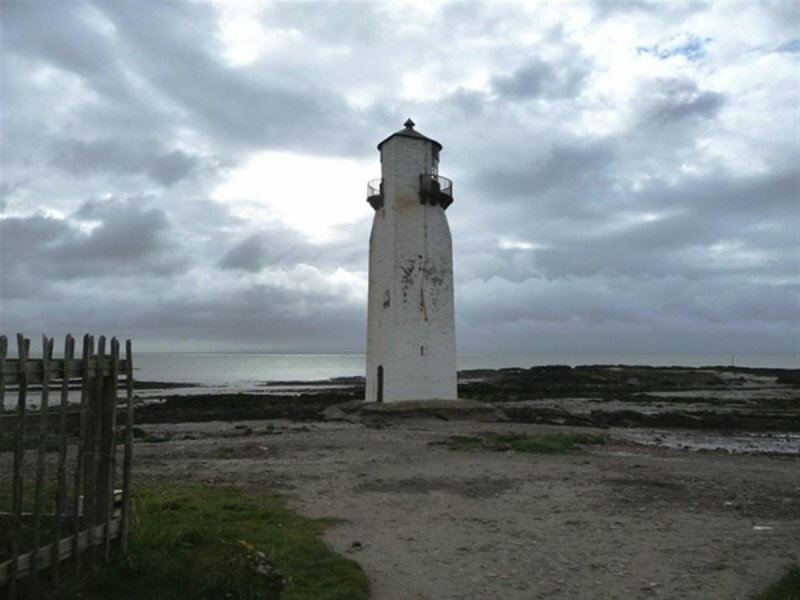 Became a lighthouse probably circa 1811: raised to present height by Walter Newall 1842-3: disused from 1867 until re-opening 4.8.1894 following thorough modernisation. 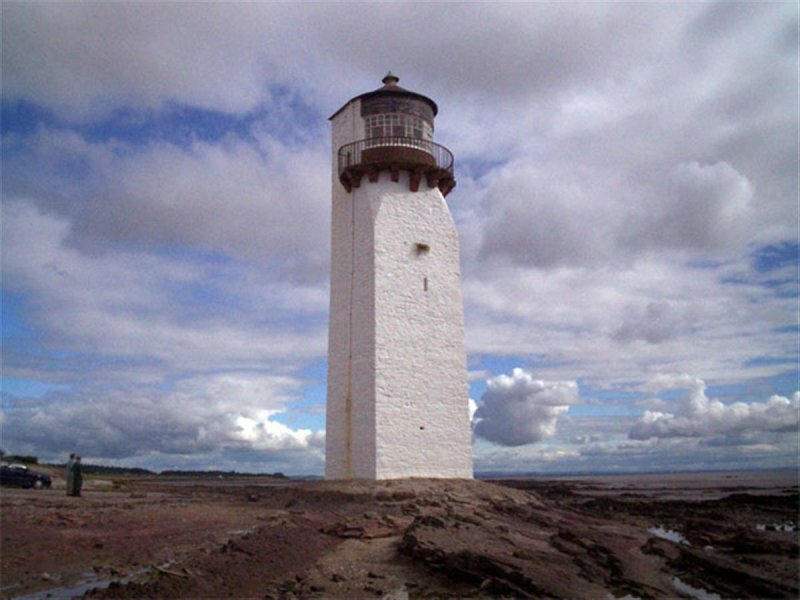 Tall, slightly battered square-plan lighthouse tower. Painted rubble. 3 angles curved inwards at upper level towards curved and glazed light opening: curved parapet walkway on corbels in front of latter. Segmental- arched and boarded door with iron "yett" at foot of east face. Curved, low-pitched slate roof with apex ventilator. Internal wooden stair. 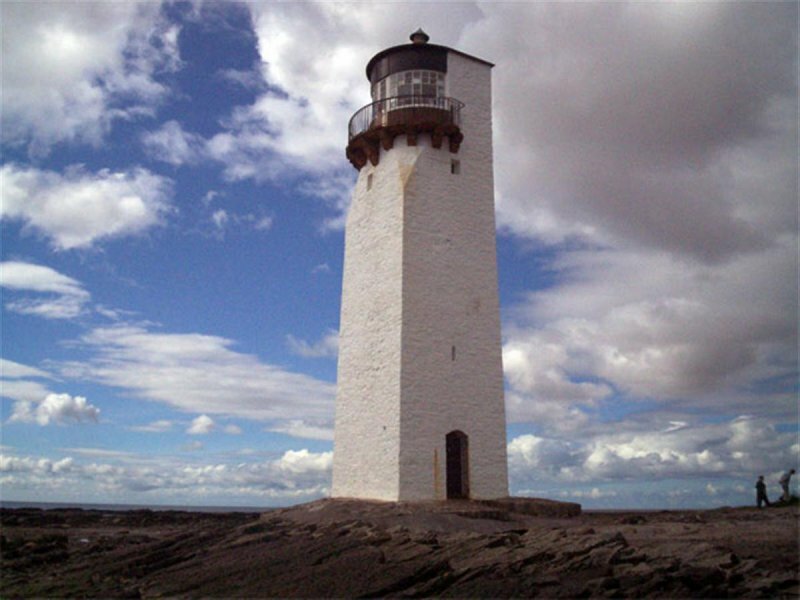 1 March 1993: The Scotsman reports on efforts to restore the lighthouse. 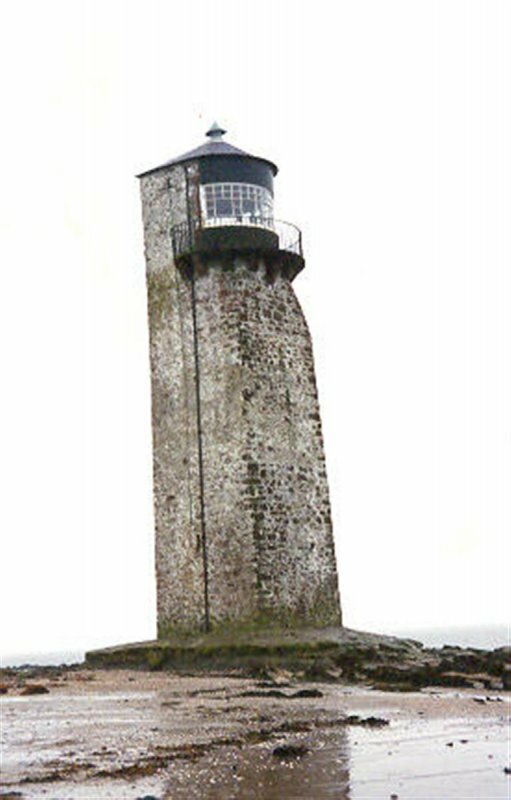 November 1994: External inspection reveals the lighthouse to be disused, though in reasonable condition with the roof repaired. 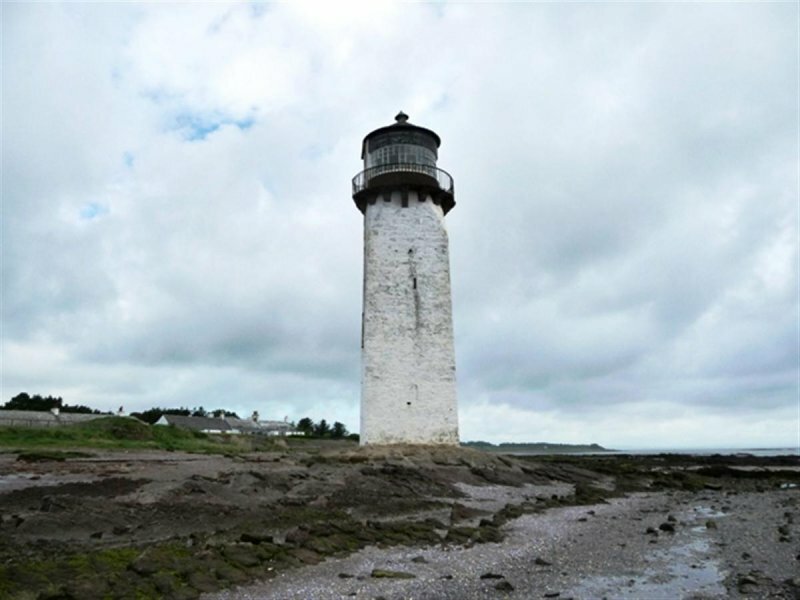 Dumfries and Galloway Regional Council has suggested a combined approach with the owner to the repainting of the exterior. 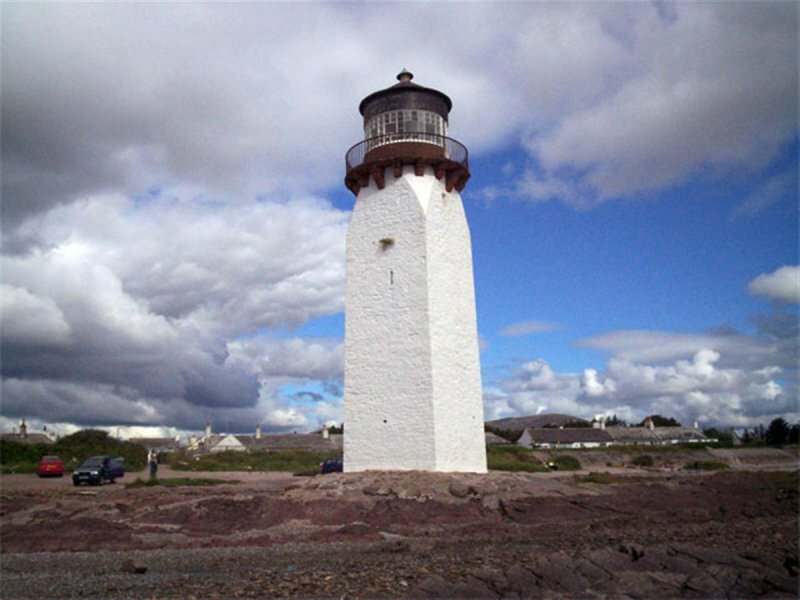 1995: SCT understands the lighthouse may now have been sold. 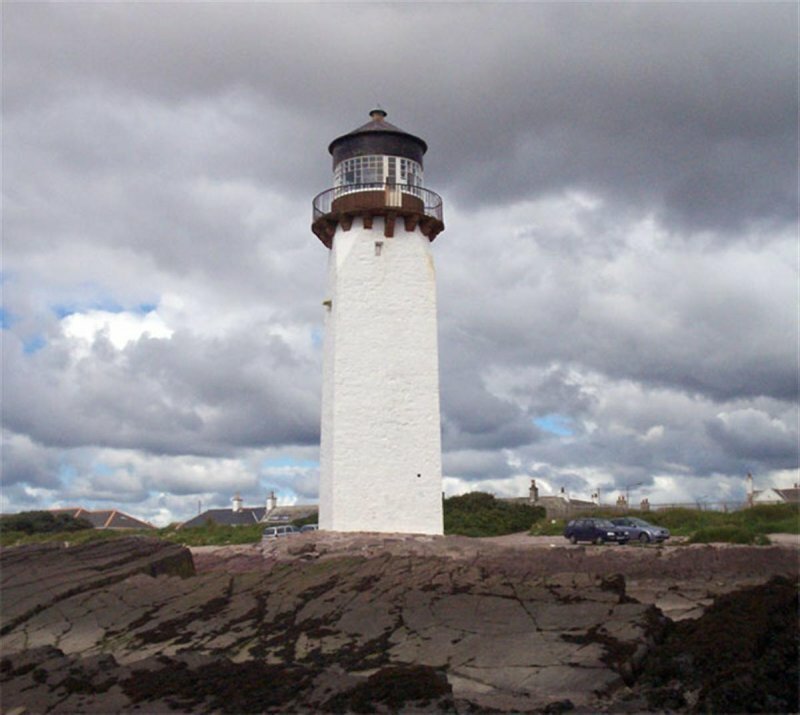 March 1998: SCT understands that there are plans to upgrade the lighthouse in connection with business use and a proposed visitors' centre. 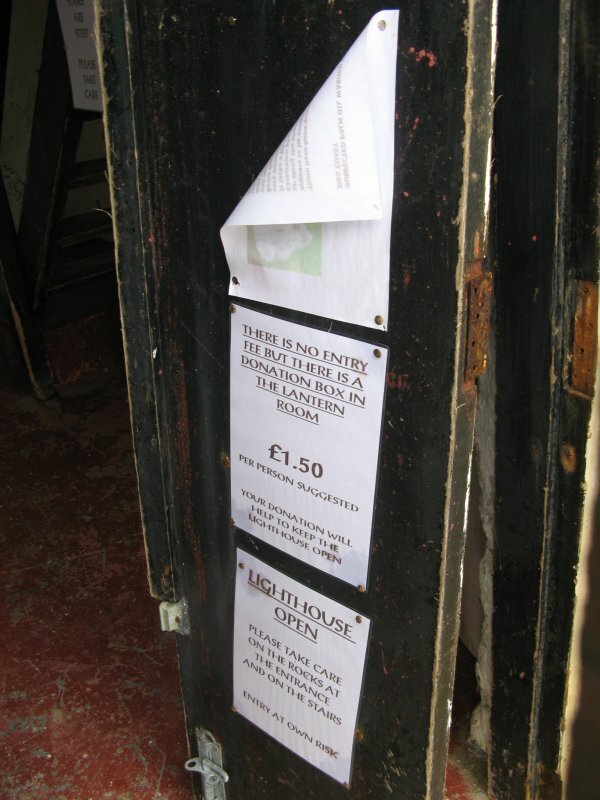 13 May 2004: The Galloway News reports on the building's inclusion on the Buildings at Risk Register. 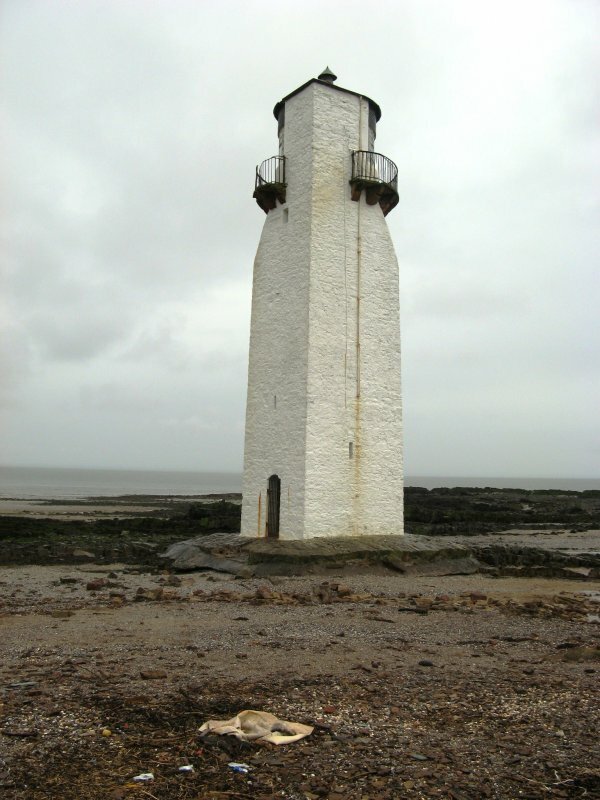 August 2008: External inspection reveals that the lighthouse remains disused. It appears that it is being maintained. There is one broken pane and minimal plant growth on the walls. 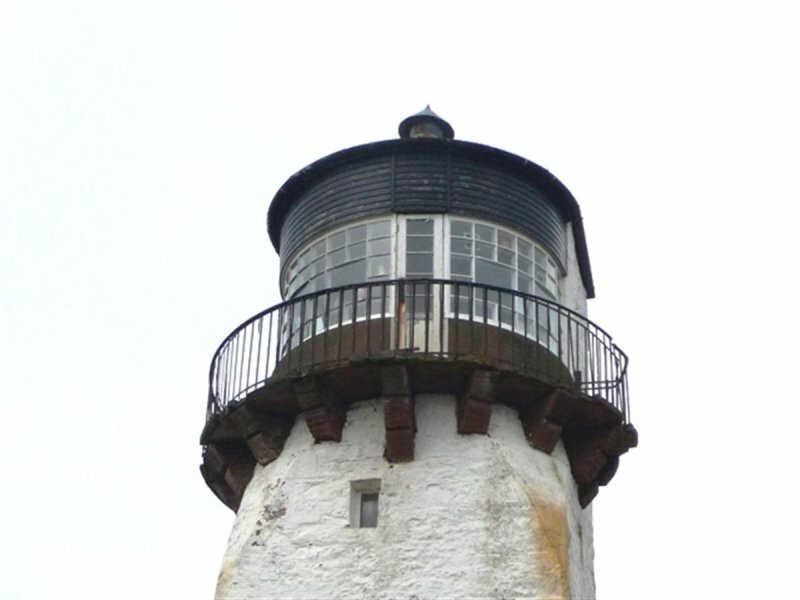 May 2011: External inspection finds that since the previous site visit the condition of the paint and timber elements has deteriorated. 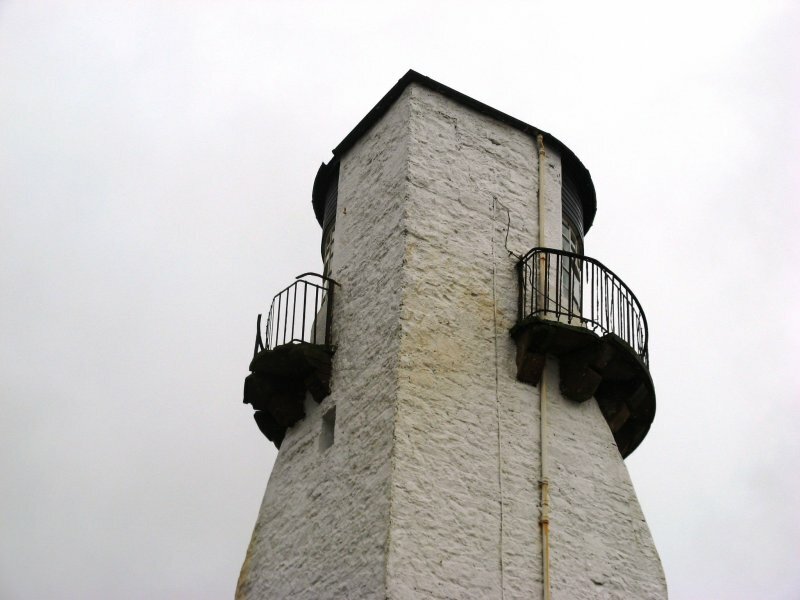 The walkway is in need of repair with the loss of fabric along the outer edge at the join with the balustrade. 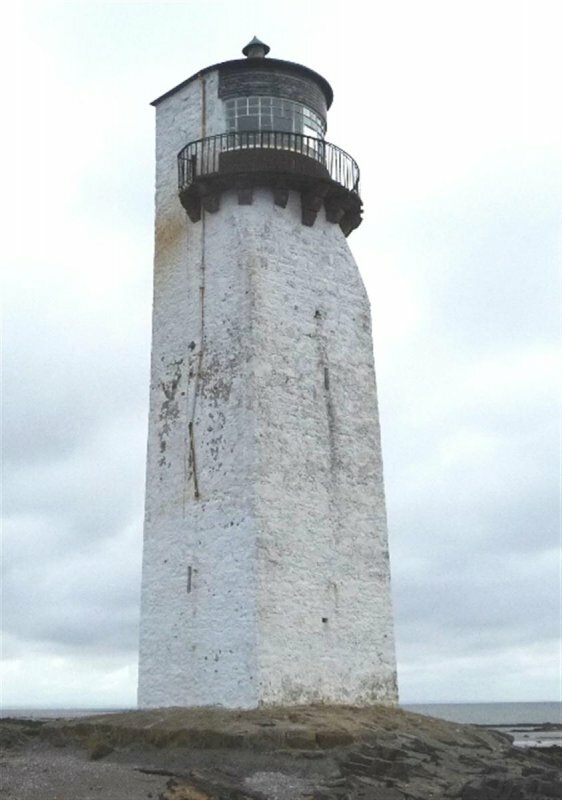 8 May 2014: Inspection finds the structure is now open to visitors to generate income towards maintenance for the structure. Access to the upper walkway is not permitted.